Summer is in full swing and that can only mean one thing: festival season is upon us. While festivals occur all year long, they really hit their peak during the summer. On some of the hottest days of the year, people from all over pour into venues to listen to their favorite artists, taste their way around the world, or explore the arts. Yes, festivals come in all shapes and sizes, ranging from smaller local favorites to huge headlining acts. From music to food, spirits to the arts, festivals attract people from all walks of life with common interests. That’s what makes festivals the perfect avenue to truly generate high-engaging brand awareness for your business. 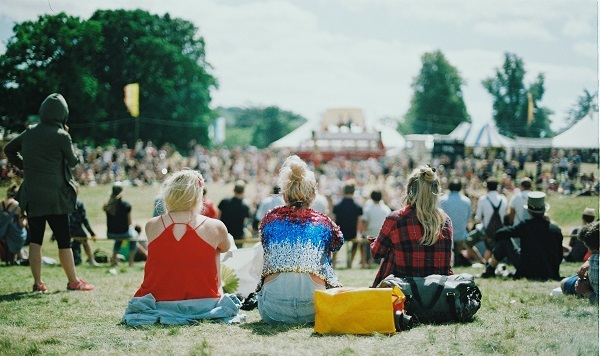 It doesn’t matter if you’re a large tour company or a startup yoga studio, your business can greatly benefit from creating a presence at festivals. The key is to know the proper way to go about it. When promoting your business at festivals, the first step is to choose the festival that is right for you. There are a variety of festivals from which your business can choose. Choosing the right festival is a crucial first step. Proper research and planning should go into selecting the festival that best suits your business. As much as you may want to dive right into the first big-name festival you can find, that might not be the smartest move. Smaller festivals can be just as effective, especially if this is your first brand activation event. Finding the festival that is the perfect fit guarantees your marketing efforts are reaching the right audience. The last thing you want to do is waste time and resources at an event that isn’t geared for the people you are trying to reach. It’s worth noting that festival culture is very demanding and picky. It’s imperative to remember that your presence should seamlessly integrate into the event. Each festival carries with it a different vibe. The vibes at Coachella are a lot different than the vibes at Burning Man, which are a lot different than the vibes at Rolling Loud. Business must fall in line with the ambiance and vibe or they can expect to face ridicule. This is particularly true in our current society where everything is on social media within seconds of it happening. You don’t want to be THAT company. Therefore, once you’ve found the festival that is right for you, plan how you can integrate your brand promotion into that particular event. Now that you’ve done your research and found the right event for your business, it’s time to think brainstorm marketing ideas. You need to create an experience. What is so good about your business that people should peel away from the music on stage or the food vendors handing out free samples? This is where you really nail your marketing strategy. A photographer looking to capitalize on the festival season may consider turning their vendor booth into a photo booth. Simply by setting up a few props, you’ve taken your mundane tent and sales pitch to a fully integrated experience for festival participants. Yoga instructors can set up free 5-minute classes on a schedule to give people a much-needed break from walking around and being on their feet all day. With Bookeo’s online scheduling software, people can easily register throughout the day to participate in your booth’s experience. It’s all about being memorable. Don’t forget that your goal is brand awareness. It’s great to hand out Frisbees and gluten-free energy bars with your company’s name and logo on them. However, what is your next step once the Frisbee breaks and the energy bar wrapper is now in the trash? You need to make sure you implement a way to engage your festival goers after they have left your tent. Bookeo’s online scheduling software can help you find the direct call to action you’re looking for. With their online appointment calendar, you can collect emails and names right from your tent. People can quickly and conveniently set up appointments right from their own smartphone. This is a surefire way to guarantee that people are interested in your business. You can also use this information to measure how successful the overall festival marketing strategy was for your brand. Jumping into the festival circuit can be a little daunting at first. After you get over your first event and you follow these tips, you’ll realize how easy it all can truly be. When it’s all said and done, you’ve snagged a few new clients, reached a wide variety of people in a short amount of time, and got to listen to some great music all weekend. Sounds like a win-win for everyone involved.